You could easily spend weeks in Hanoi and still find new things to do every single day. Whether you’ve finished with all the main attractions, or are hoping to avoid them in the first place, let’s have a look at sides of the city many tourists don’t see. Long Biên Bridge is certainly an amazing sight, but we’re not here for things that are on every must-see list ever written about Hanoi. 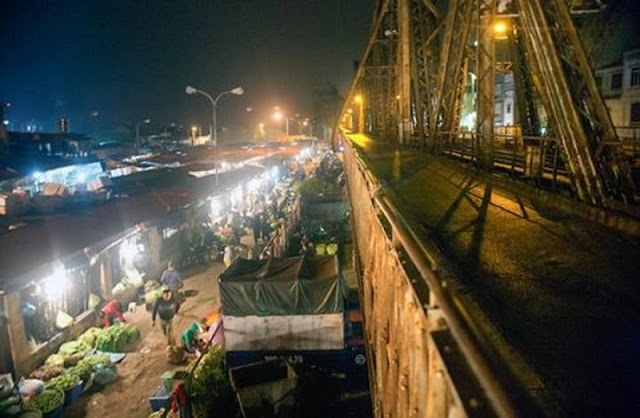 For a truly local experience, head to the night market near the start of the famous bridge and see where many of the restaurants in the area get their ingredients. This market isn’t meant for tourists, so don’t expect to find interesting souvenirs or fashionable clothes. Bring a couple of friends with you for this one, as hotpots are meant to be shared. 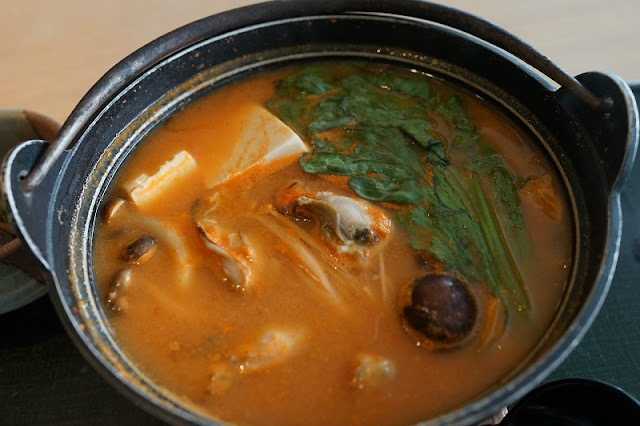 They’re a simmering soup with a wide assortment of veggies and meats to add as you wish. You could just head to Ha Tien Street and find some good hotpot spots, but that’s for tourists. 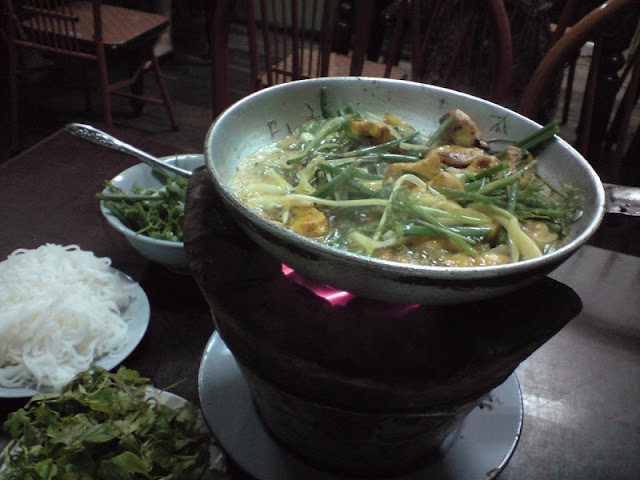 Phùng Hưng Street is more popular among locals. Look for the word Lẩu as you explore they area. It means hotpot. The area around West Lake is one of the hippest in the city these days, and very popular with expats. Many people prefer to bike on the path that goes around West Lake, but we love paddling on the swan boats. For extra fun, bring along your favorite beverage. The swan boats are on the southern side of Trúc Bạch Lake, near the Highlands Coffee. Even though this spot is a poorly kept secret, it really isn’t as touristy as it could be. The Lotte Tower is one of the tallest building in Vietnam, and on the 65th floor they have a viewing deck where you can see pretty well the whole city. You’ll also find the first ever sky walk in Southeast Asia, which has a glass floor. We know what you’re thinking: Isn’t Hoàn Kiếm Lake the focal point of tourism in Hanoi? It sure is, but only later in the day when the foreigners who spent all night partying finally get up. In the morning, the lake is where locals go to exercise and hang out. The earlier you can get there, the better. If you’re a flower fan, this is an absolute must. 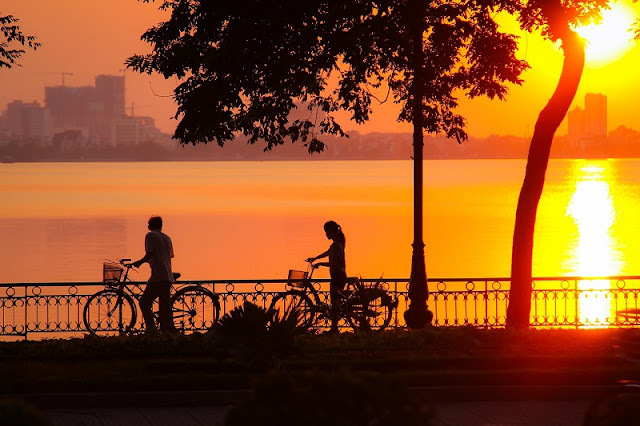 It looks like it’s far away on the map, but don’t worry, it only takes about 20 minutes to get there from Hoàn Kiếm Lake. The best time to go is from midnight to 6:00am, when floodlights cast beautiful shadows over the millions of flowers: roses, orchids, sunflowers, lilies and chrysanthemums. The market is still open later in the morning, but it isn’t as busy. At the famous Chả Cá Thăng Long restaurant, don’t even bother with the menu. 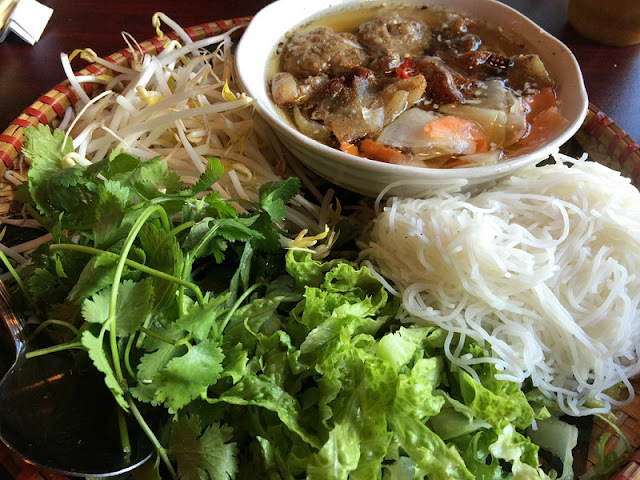 Everyone who comes to this restaurant comes for one thing: Chả Cá. It’s fried fish with some of the most delicious flavors you’ve ever tasted – yet another dish that Hanoians make best. Everyone knows Vietnamese coffee is fantastic, but you should also try egg coffee while you’re here. It can be a bit difficult to find, so we recommend you head to Giảng Cafe, where they’re famous for their egg coffee. When imitators set up shop nearby, it’s probably a good sign that you’re doing something right. We weren’t huge fans of Bún Chả when we ate in the South, but after eating at Bún Chả Đắc Kim, we completely understood why Hanoians love it so much. Hanoi definitely does Bún Chả better. For the uninitiated, Bún Chả is rice vermicelli noodles with fried spring rolls, veggies and grilled fatty pork. If you’re in Hanoi over a weekend, then you should check out the night market on Hàng Đào Street. At 8pm, traffic is blocked and people are free to browse the hundreds of stalls selling things like clothing, ceramics, jewellery and all kinds of souvenirs. The market runs from Hoàn Kiếm Lake all the way to Đồng Xuân Market. 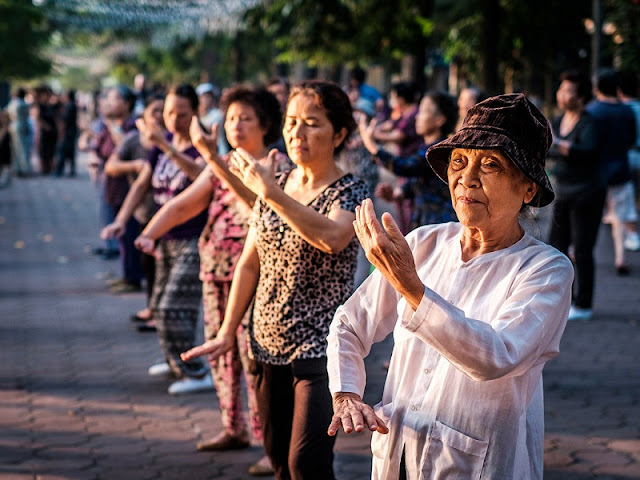 To commemorate the thousand year anniversary of Hanoi, community leaders and local businesses built a mosaic wall that runs for almost four kilometers (2.5miles). The sheer number of little ceramic tiles it took to make this mosaic is astounding, and the artwork tells many vivid stories from this city’s long history. Unless you like smog and noise, we wouldn’t recommend walking the length of the street. For a better experience, hire a taxi or a xe om (motorbike taxi). If you ask for a ride from the Old Quarter to the address below, you’ll see most of the wall. Even if you have no intention of driving the length of Vietnam, this street is a cool look at the rich motorbike culture of Vietnam. There are thousands of rides for sale, and plenty of deals to be found.